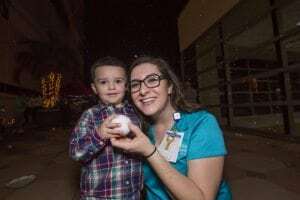 December was a whirlwind of a month for us here at Johns Hopkins All Children’s Hospital. From Radiothon, to Holiday celebrations with our families and everything in between we want to thank you all for your continued support, especially during a time so important to families. Click here to see photos and videos from the US 103.5FM Cares for Kids Radiothon. Click here to see photos from our Holiday celebrations. Click here for the Top Stories of the Year from Johns Hopkins All Children’s Hospital. Previous post: #TBT Remember when we took photos with Santa?